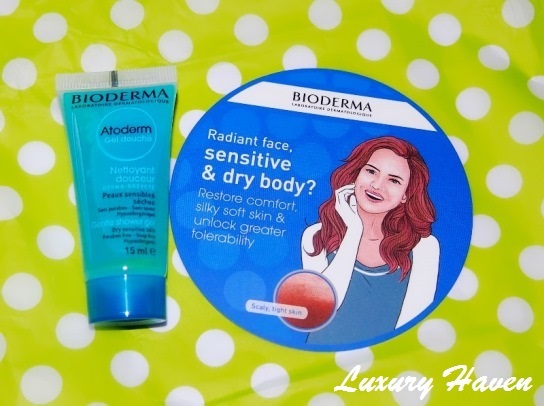 You are here:Home » Product Reviews » April BellaBox Beauty Goodness! You are what you eat!! So BellaBox goes all out to tickle your taste buds! This month, the beauty box has included a Chocolate Souffle Recipe from Laurent Bernard Chocolatier to tantalize your palate! Let’s take a peek into the box! Relieving tension & itching, skin is soft & silky after use. Over time, this wash actually reduces skin sensitivity by strengthening its tolerance to allergens. This ultra gentle daily wash is specially formulated for dry & sensitive skin & can be used for all skin types, from children to adults. I’m a fan of pokka dots & really glad to have this black/white twistband headband where I can use it to tie my hair too! These twistbands come in a variety of colours such as Tie Dye Ursula (black), Tye Dye Jewel (forest green, cranberry & plum), Tye Dye Jane (raspberry, grass & blueberry) & more! I’ve got a Magic Lipstick at last!! The color transforms from its original rainbow-vivid hue to a beautiful pink shade (by way of your body heat)! Plus, it has 7 benefits in one stick – primer + lip balm + lip tint + lipstick + lip liner + fixer + ultraviolet screening!! Natural oils like Grape Seed, Argan & Pomegranate, as well as Shea Butter combine for intense moisture & all-natural environmental protection. 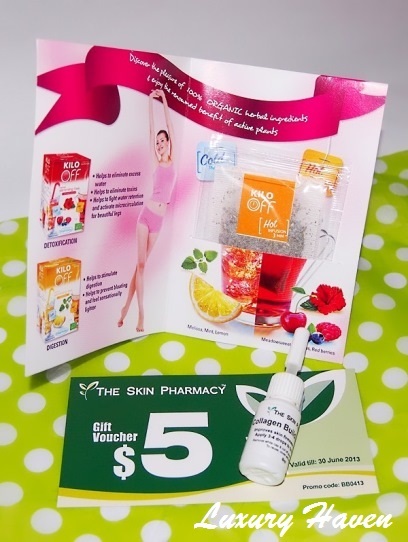 April BellaBox comes with a $5 voucher from The Skin Pharmacy too! So what do you think of this month's BellaBox? Not to mention the rest of the stuff you're getting in the box, the full-size Elishacoy Vivid Party Lipstick is already worth SGD 12, & you just need to pay SGD 19.95 per month for these surprise boxes with 5 items in them! Or how about joining BellaBox as an annual member for $219.45 & get one month free! * Plus a special offer – join today for a bonus Urban Decay Naked Palette Basics worth SGD$40!! Get your very own BellaBox now!! Kathy, it's certainly value for money! Uru, we'll get to try product before buying the full-size ones. Innovative concept! HYL, have a good week! DD, hahaha! Do u really need that?? 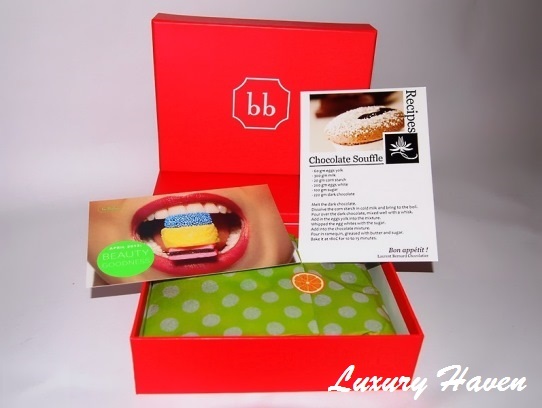 Chocolate Souffle Recipe in a beauty box - that's really a surprise indeed! WW, thks & have a wonderful week!